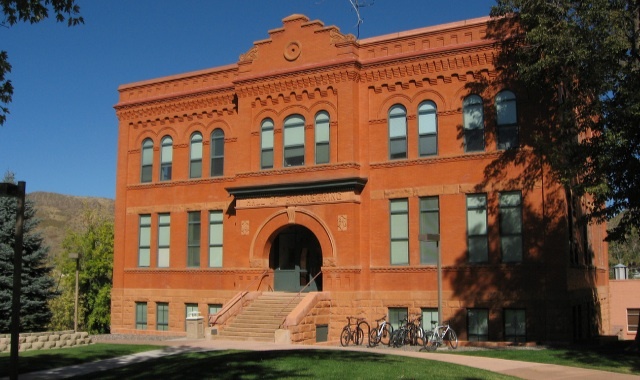 The Colorado School of Mines Ranking is in the 326 to 346 range in the world on the University Review College Ranking List. It is ranked as the 88th best college in the states by the USnews, and the 153rd best by Forbes. Other large Colorado Colleges include the University of Denver, Colorado State University, University of Colorado – Boulder, Colorado College, Regis University, University of Northern Colorado, and Colorado Mesa University. The total composite Colorado School of Mines SAT Score range (verbal plus math; middle 50%) for accepted applicants is 1200 to 1390 (average score 1330). The requirements for ACT (25th-75th percentile) at Composite are 27 to 31; the average ACT score is 30. The average unweighted GPA of accepted applicants is 3.8. The average GRE quantitative score for grad students is 718. The Colorado School of Mines tuition fees are $16,918 for in-state and $33,598 for out of state students. It is a very selective college accepting 36% of applicants. Financial aid offered totals $22.8 million per year, an average of $11,890 per student. Colorado School of Mines (CSM) is a public university situated in a suburban locale in the city of Golden, CO. There are presently a total of 5,608 students who study at Colorado School of Mines. Of these, 4,293 (76.5%) learn at the UG level, whilst 1,315 (23.5%) partake in PG courses. At the undergraduate level, 4,082 (95%) attend classes full time whilst 211 study part-time. Colorado School of Mines Photograph by Ken Lund. Geographically, 68% are from instate whilst 32% are from different regions of the country. There are approximately 4% students from abroad. There are 1,155 women attending CSM as UGs, while 3,138 men studying at this level, giving a ratio around 73:27 men to women. As for diversity, the undergrad student body is broken down to 74% White, 5% Asian, 1% African-American, and 8% Hispanic or Latino. This college is currently rated as the 88th best in the US by the U.S. News & World Report. The tuition fees for attendance (including admin fees) at this university are $16,918 for those from in-state, and $33,598 for those coming from other states. Also add $10,100 for room and board expenses, $1,500 for study materials, and $2,085 administrative fees. Bringing the total cost of attending at this establishment to $28,520 for instate undergrads and $45,200 for out of state students. CSM provides a needs-based scholarship fund of $15,607,000, and has non-needs funding of 7,196,000 available, a total of $22,803,000 accessible as grants to their scholars. Average monetary help received by each student is $11,890; around 56% of all students are provided assistance with finances. CSM is a very selective establishment with an acceptance rate of 36.4%. In the previous year 10,145 applied, of which 4,520 were accepted for admittance. Of the students receiving admittance 879 (19.4%) went on to matriculate to the college. The application fees for the school are $45 for undergraduates and $50 for post-grad study. Regarding the scholars accepted for admittance, 66% were within the best ten percent at their high school classes. 45% of those who applied successfully presented SATs. The mid scores for reading were 600 – 699 (51%), 600 – 800 (92%) for Math, and 600 – 699 (36%) for writing. The mid 50% percentiles were 570 to 675 at reading, and 630 to 710 at Mathematics. Eighty-eight percent of accepted applicants applied with ACTs: mid ranges are 24 – 36 (99%) Composite, 24 – 36 (90%) for English, and 24 – 36 (99%) for Math. The twenty-five to seventy-five percent percentiles were 27 – 31 for Composite, 27 – 33 Math, and 25 – 31 for English. 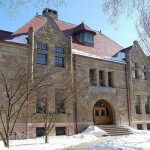 Imperative factors for admission into the university are Secondary school record, Standardized test scores, and Class rank. In addition, factors including the Interview, Personal qualities, Essay, Class rank, Alumni relationship, Geographical and/or State residency, Extracurricular activities, Ability, and Recommendations are also important for acceptance. The application address for studying at CSM is 1500 Illinois St., Golden, CO 80401. The telephone number is (303) 273-3000, and their application website is found at http://mines.edu/Admissions. The college has 14 academic departments (three colleges). The most popular courses offered are in Engineering (88%), Mathematics and Statistics (6%), and Physical Sciences (3%). Class sizes are: fewer than 20 (24%), 20 – 49 (59%), and 50 or above (17%). There are three colleges; these are located in a suburban setting in Golden, CO. The campus covers an area of 373 acres. Sports teams take part at the NCAA II level of the Rocky Mountain Athletic Conference. The teams are called the Orediggers; the mascots are named Marvin the Miner and Blaster the Burro. Men are involved in ten varsity sports, and women are involved in eight sporting events, producing a total of twelve different varsity events. 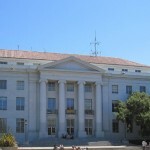 The institution currently employs 465 full time faculty, and 332 part time (total 797). The student to teacher ratio is 16:1. About 38% of new undergraduates graduate the school within four years, and 68% finish within 6 years. In the previous year, 1,007 students graduated, they received 667 Bachelor’s, 300 Master’s degrees, and 40 at the doctoral level.